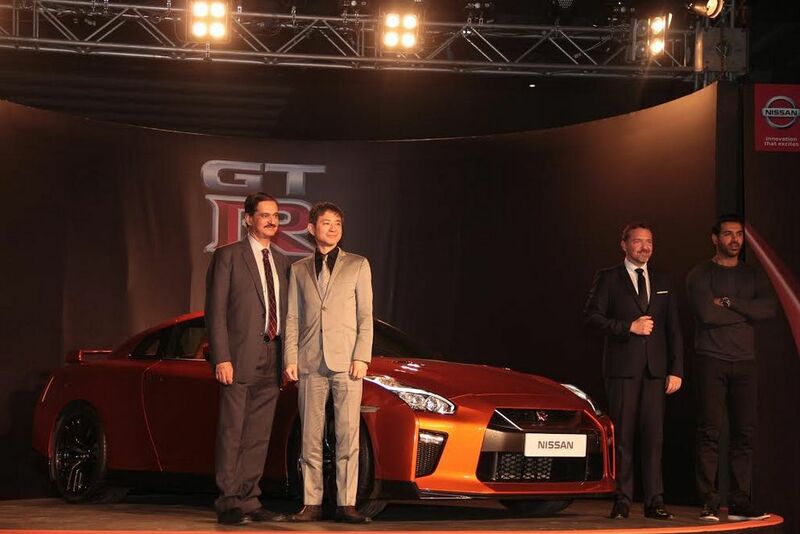 Nissan Motor India has launched the 2017 Nissan GT-R for the Indian market finally. The flagship sports car goes on sale priced at Rs. 1.99 crore (ex-showroom, New Delhi) in European spec Premium Edition. It embodies the pinnacle of Nissan’s engineering prowess and latest design language with cutting-edge technology. The new signature V-Motion grille, aerodynamic obsessed bodywork, high-performance powertrain and upgraded interior has reassured the GT-R its iconic status among the sports car world. 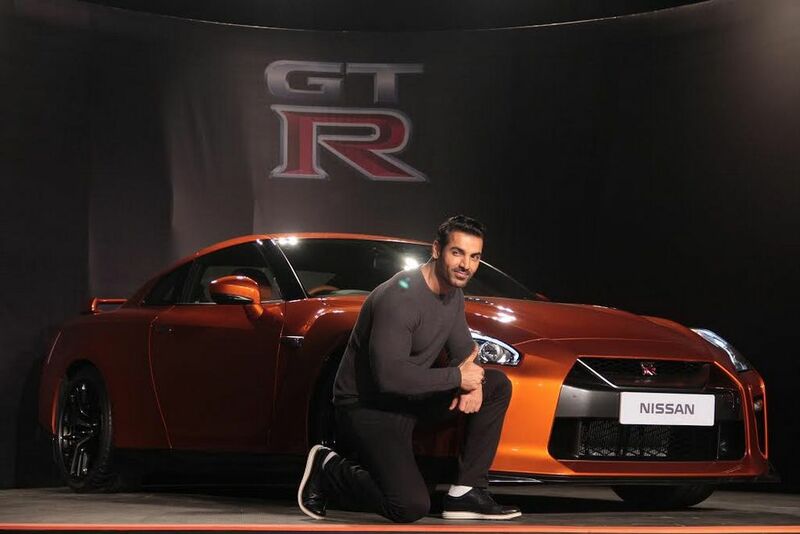 Deliveries of the new model have begun with Bollywood star and Nissan Brand Ambassador, John Abraham, receiving the keys to his own GT-R. Produced at Nissan’s state-of-the-art manufacturing facility in Tochigi, Japan the 2017 GT-R will be brought into the country as a CBU (Completely Built-up Unit). Sold exclusively through brand’s Dealership in Noida, it will also act as Nissan High Performance Centre (NHPC) responsible for the service of the car. 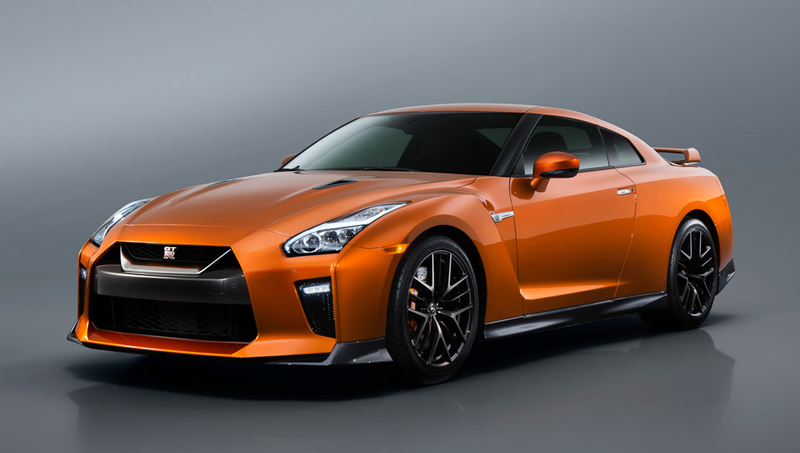 The Japanese automaker unveiled the new 2017 GT-R at the New York International Auto Show earlier this year in March with the most significant changes made to the model since its inception in 2007. It was highlighted with new look inside and out, along with performance enhancements and new features. 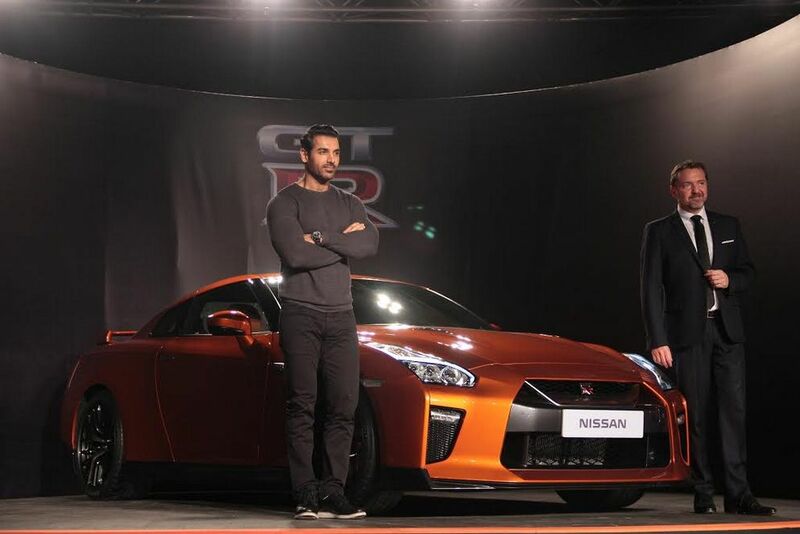 For India, the GT-R will be available in Katsura Orange, Vibrant Red, Pearl Black, Pearl White, Racing Blue, Gun Metallic and Ultimate Silver. The choice of interior trim includes Red, Tan, Ivory and Black. On the outside, the new GT-R gets a complete makeover with new matte chrome finish “V-motion” grille enlarged to provide better engine cooling, updated mesh pattern, a new reinforced bonnet contributing to stability during high speeds, a redesigned front spoiler lip and front bumpers with finishers to generate high levels of front downforce. The side sills have been pushed out to improve air flow while the rear retained hallmark four-ring taillights besides a new bodywork for aero benefit and side air vents next to quad exhaust tips. The belt line separating the lower black section from the body panel has been heightened for wider stance as well. Inside the cabin, a premium interior benefits the high-performance calibre. The new dashboard and instrument panel with high-quality leather stitched together with Takumi precision. The dashboard adopts a “horizontal flow” design to deliver a sense of high stability for the front occupants. The line from the instrument cluster to the center console provides a driver-oriented environment. The centre dashboard layout has been improved with integrated controls reducing the number of switches from 27 to only 11 in the 2017 GT-R. An enlarged eight-inch touch-panel features large icons on display screen and a new Display command control on the carbon-fiber center console allows for easy functionality. The shift paddles mounted to the new steering wheel has ventilation controls for improved feel and better sound when engaged or adjusted. 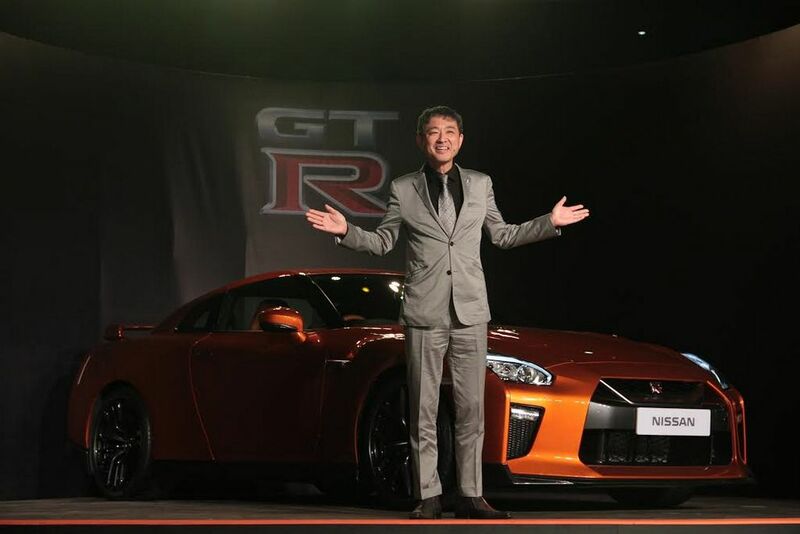 Each of the GT-R’s renowned 3.8-litre V6 24V twin-turbocharged engines is handcrafted by Takumi technician. It delivers a massive 565 hp at 6,800 rpm and 637 Nm of torque. 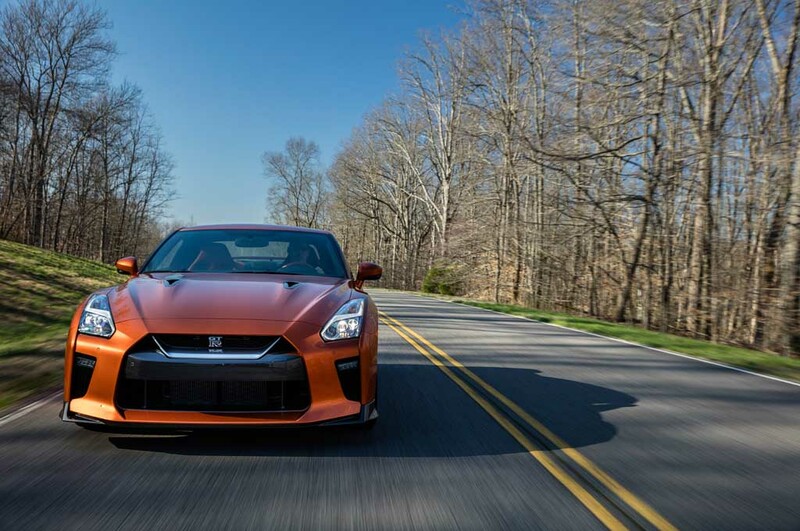 The improved output comes as a result of individual ignition-timing control of the cylinders and extra boost from the turbochargers allow the new GT-R to possess superior acceleration between 3,200 rpm and above. It comes coupled with a refined six-speed dual-clutch transmission. 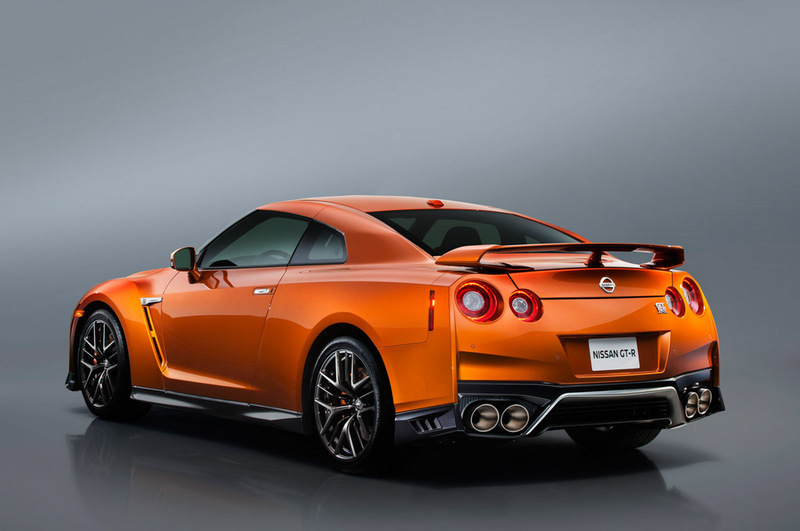 The GT-R exhaust tone has been upgraded as the resonance of the new titanium mufflers and Active Sound Enhancement (ASE) is said to enhance the driving experience during acceleration. 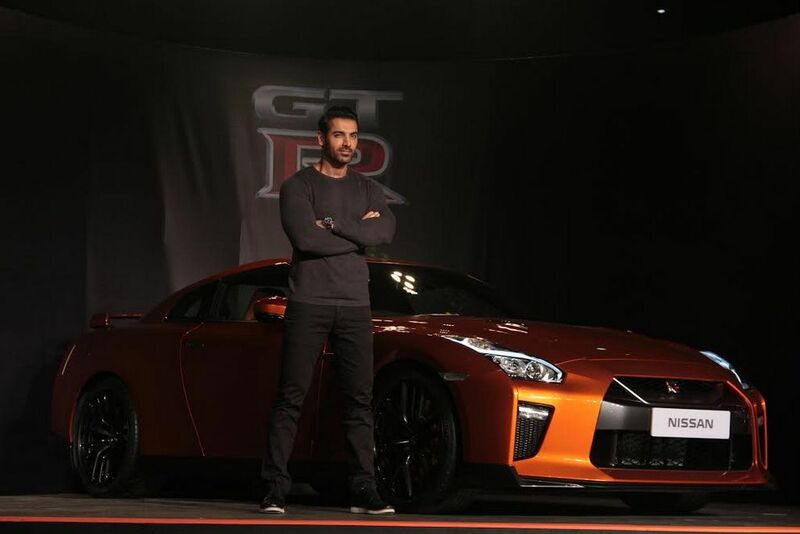 The sticky 20-inch tyres wrapped around new “Y-spoke” machine-finished forged aluminium wheels, more rigid body structure and new suspension are claimed to reassure the GT-R as one of the best handling machines in the world.